2 Bedroom, 2 Bathroom, Sleeps 6, Close to Beach and Highcliffe Town Centre. Beautiful, bright, airy, apartment five minute walk to the beach. Excellent location minutes from Highcliffe town centre with shops, cafe bars, pubs, restaurants Indian, Chinese, and traditional Fish and chips. Great base for local beaches, with a short drive to explore the New Forest National Park, the historic town of Christchurch with its Priory and ducking stool, Highcliffe Castle, and Lymington with a regular ferry service to the Isle of Wight.The apartment has 2 x double bedrooms, Bedroom 1 has a double bed, a day bed with trundle, and on suite shower room. Bedroom 2 has 2 single beds that can be zipped together to make a 6ft double bed.There is a large comfortable lounge/diner with WiFi, free view 42” TV and a BluRay player. The kitchen is fully equipped with all you need to be self sufficient including a electric cooker and gas hob, fridge/freezer, dishwasher, and washing machine. Local amenities are Highcliffe golf club, beaches for swimming, surfing or sailing. 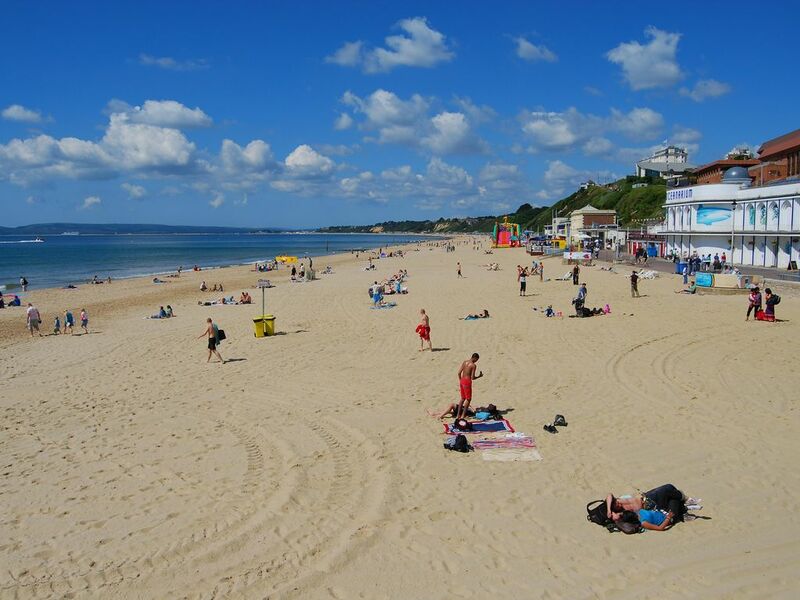 Avon Beach and Mudeford are close by and whether cycling, walking or driving you won't need to travel very far in any direction before finding excellent restaurants and bars for relaxing and watching the sun go down. Being on the Dorset/Hampshire border we are only 5 minute drive to the beautiful New Forest, with it's many cycle trails, deer, birds, New Forest Ponies, Pubs and Restaurants. Extendable Table and Six dining Chairs. A lovely modern apartment which was large and spacious enough for myself and my active toddler. Host couldnt have been more accommodating - helping us with our bags and to settle in, no request too much trouble. Would throughly recommend a stay ! The flat was newly decorated with a modern kitchen and stylish. The flat was very comfortable and convenient for local shops and beach. It was a short journey to Christchurch. Thanks for your lovely review Dexter and Lucy - Really pleased you enjoyed your stay and look forward to seeing you again in the future. Nice and clean apartment just 5 minutes walk to the beach. The landlord was very kind! I would also recommend a visit to The Paddle Cafe. Enjoyed our stay at 431 Lymington Road. Thoroughly enjoyed our short stay. The property we stayed at was easy to get to ample parking. It was well looked after and was spacious and welcoming. We felt as if we were at home. I would not hesitate in recommending it anyone looking for a place to stay on the south coast. Booking Notes: A £250 deposit secures your booking and balance payments are due 4 weeks prior to arrival. We also ask for a £300 refundable damage deposit with the balance. This is then refunded (all being well) shortly after completion of your holiday. Payment : PAYMENT IS BY BANK TRANSFER - PLEASE CALL OR EMAIL FOR DETAILS or if you need to discuss an alternative. Changeover Day: Usually Saturday but we will consider other days so please contact us with your requirements. Notes on prices: Please contact us for a quote with your specific dates if they do not fit in with our pricing table and changeover day as we will always try to be as flexible as possible to accommodate your requirements.